SIDE 2018 was our 20th year it underwent a significant transformation. This year SIDE is back in Invercargill, with a fresh format and crucial workshops for farmer’s development and learning. Like all of us as farmers and personally; every now and then we have to ask ourselves; why are we doing this and where are we heading.? With more time allocated for questions and catching up with our farming colleagues, learning about new technologies and products from our sponsors world leading Keynote speakers and more polished workshops. SIDE is an annual event no dairy farmer should miss. This year I have been lucky enough to be surrounded by an immensely enthusiastic group of dedicated farmers in our committee, who have a real passion for our sector and an exciting vision for its future, hence SIDE 2019 theme is ‘Creating Our Tomorrow’. Dairying in New Zealand is world leading on many fronts and we should celebrate this more often. So with that in mind the first day’s theme is “celebrating today” our success stories in a wide range of topics and helping bring back some of that pride in what we do every day. Day two “Investing in Tomorrow”, in contrast is about acknowledging; that as a farming community are under increasing pressure on many fronts and although we are world leading, there is a need to still step it up another notch. So we build on the first day and get informed on what we can do to embrace the challenges as a farming community going forward. For first timers; SIDE is an innovative, people and technology focused 2 day conference. Which is all about networking and hearing from positive community leaders. With a new options available, choose from one day or for the keenest of delegates a massive saving of $75 for committing early to the full two days. BrightSIDE is a new initiative focused on our future leaders and first time SIDE attendees. 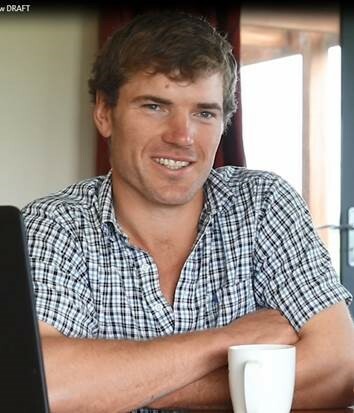 This offers the opportunity to get off farm and hear keynote speaker Gilbert Enoka and them move into an afternoon of workshops dedicated to first time side attendees – topics will cover budgeting, how to have a successful career in dairy farming and hands on practical feeding cows and utilising grass for the afternoon. For delegates travelling from outside the region. Invercargill is well placed, in a handy location to the beautiful Fiordland National Park and the Southern Scenic Route. It also boasts two of the largest transport museums in the world. So you might like to plan ahead and bring your family for a holiday to experience some good old southern hospitality in our little paradise at the bottom of New Zealand. Creating Our Tomorrow is something we all have a part to play, I look forward to welcoming you at ILT Stadium Southland Invercargill, and learning alongside you about how we as a farming community celebrate today and invest in tomorrow. See you at SIDE 2019 25-26 June.